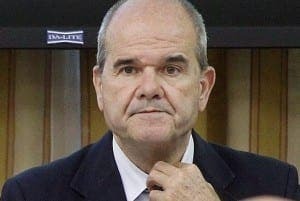 FORMER Junta president Manuel Chaves has been dragged into the ERE court case and subsequently resigned as an MP. 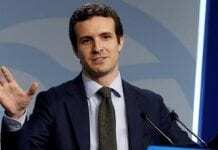 Two other PSOE politicians have been ordered for questioning at the Supreme Court, including Gaspar Zarrías, who led the Junta for two weeks in April 2009 and Jose Griñan, his successor who held the role until 2013. They are each under suspicion of being involved in the multi-million euro scam which has rocked Andalucia’s political scene. 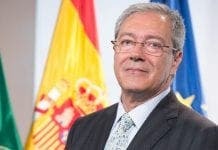 Chaves, 71, who led Andalucia for 19 years and now has a seat in Madrid’s parliament, previously told the court he had no idea that his Employment Ministry was syphoning tens of millions fraudulently every year for a decade. But now a damning 129-page report from Judge Alberto Jorge Barreiro at the Supreme Court states there is substantial evidence the former heads were involved in administrative corruption. Four years ago the Olive Press hinted that the pair were guilty in an opinion piece. Result – parasitic lawyers make loads of money from the mug taxpayers and the scumbags maybe get a slap on the wrist and return to politics after a very short time.